Comments: Plant forms a bushy upright clump of lacy, fragrant, grayish leaves. Russian sage loves hot, sunny landscapes and are at home in the perennial border, in mass platings, as specimen, or in a contaier. Butterflies are attracted to it. 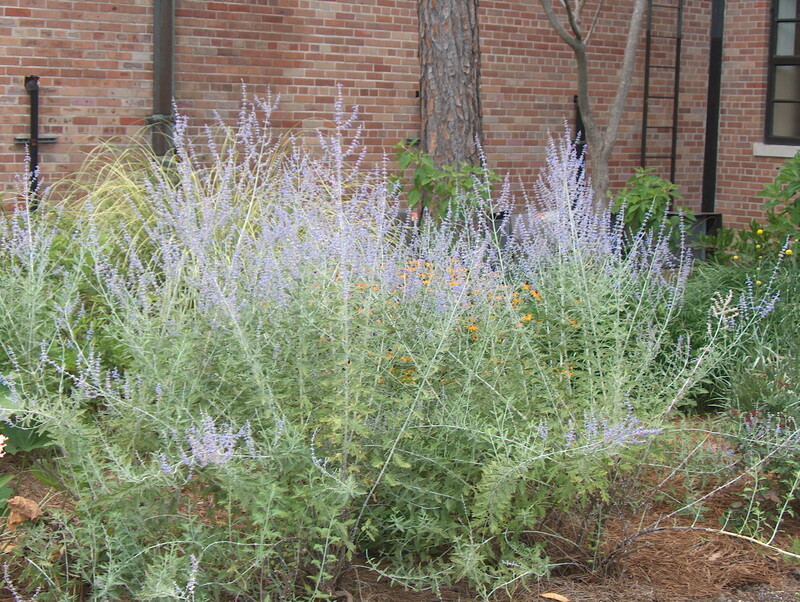 Russian sage has drought tolerance and is deer resistant.